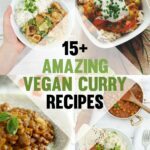 In this post, you’ll find 40 Easy Vegan Dinner Recipes everyone will love: Pasta, curries, comforting meals, burgers, rice dishes, pizza, tacos, and wraps. Get everyone to the table, Dinner is served! In my opinion, one can never have too many dinner ideas! 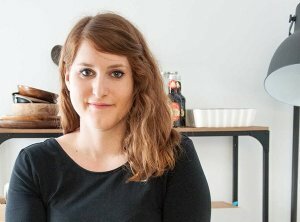 I love to experiment with different ingredients and cuisines and over the time of four years of having this blog I’ve created over 300 vegan recipes, can you believe it? I never thought I’d cook that many different meals! 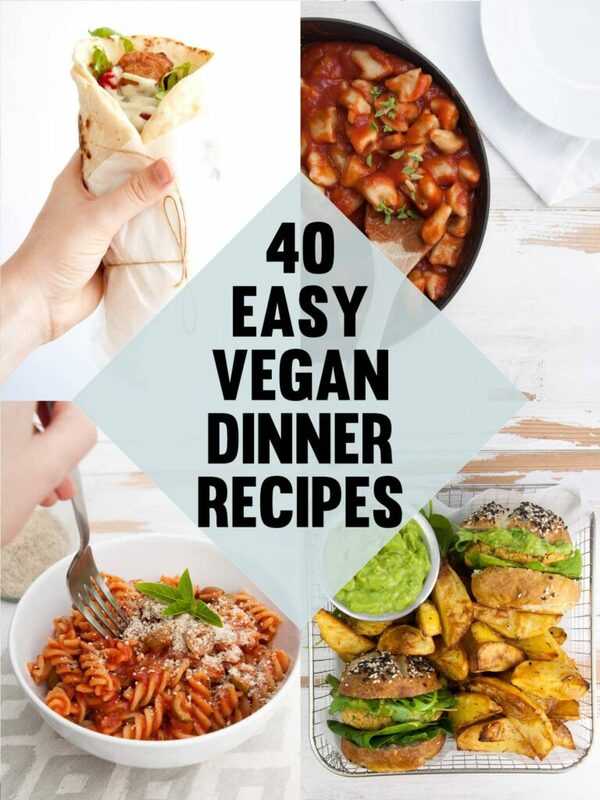 In this post, you’ll find my favorite 40 Easy Vegan Dinner Recipes! 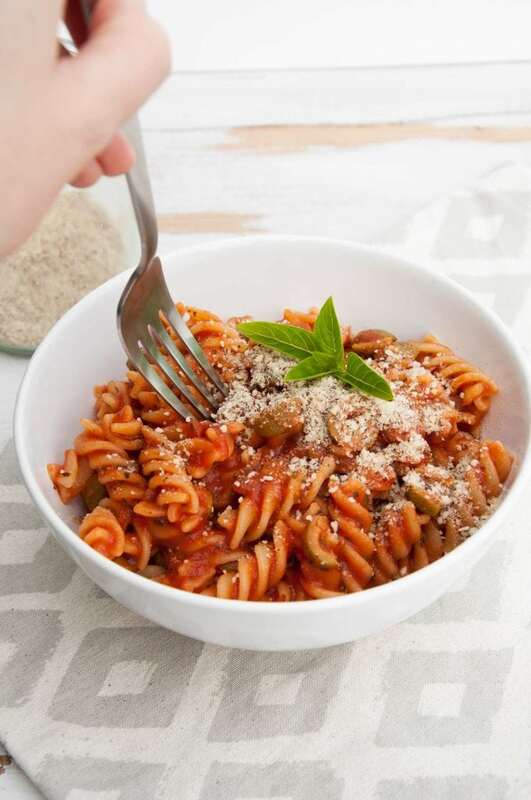 Vegan Pasta – pasta is always a winner in my book because it’s so quick to make! 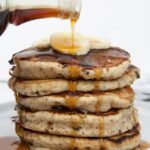 Comforting Meals – e.g. gnocchi, lasagna, savory strudel, goulash, and schnitzel! 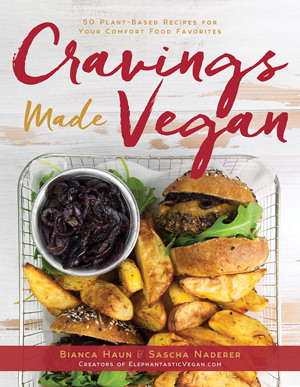 Vegan Burgers & Sandwiches – I’ve included instructions on how to make your own burger buns from scratch! 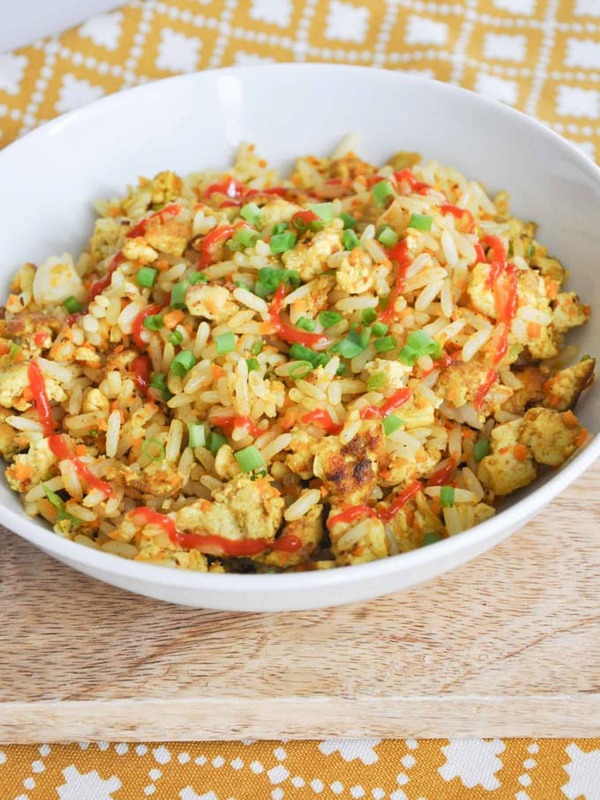 Vegan Rice Dishes – Rice is life! 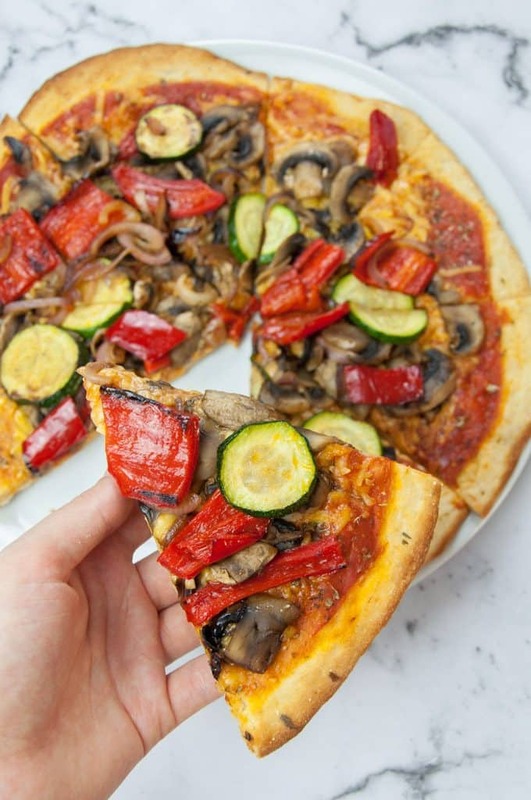 Vegan Pizza – No matter how your day was, if there is pizza for dinner, it was a good day! Tacos and Wraps – not only for #TacoTuesday! If you don’t have a lot of time (or motivation after a long day at work – I feel ya!) in the evening, you can prepare many parts of the meals beforehand: e.g. Most pasta sauces, curries, goulash, gnocchi, burger buns and patties, pizza dough,… This makes preparing dinner much quicker and almost fuss-free. 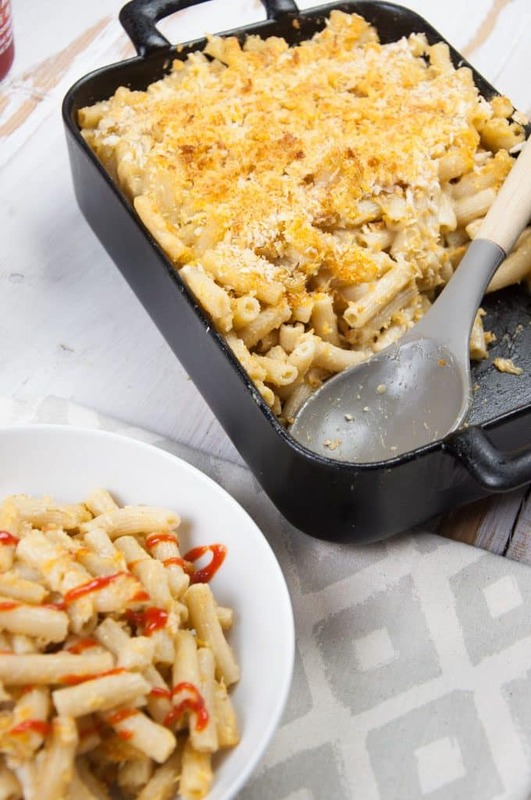 Vegan Mac and Cheese – Recipe for a vegan Mac and Cheese – an absolute American classic. With homemade vegan cheese! Perfect as a main, or as a side dish. Be warned, comfort food! 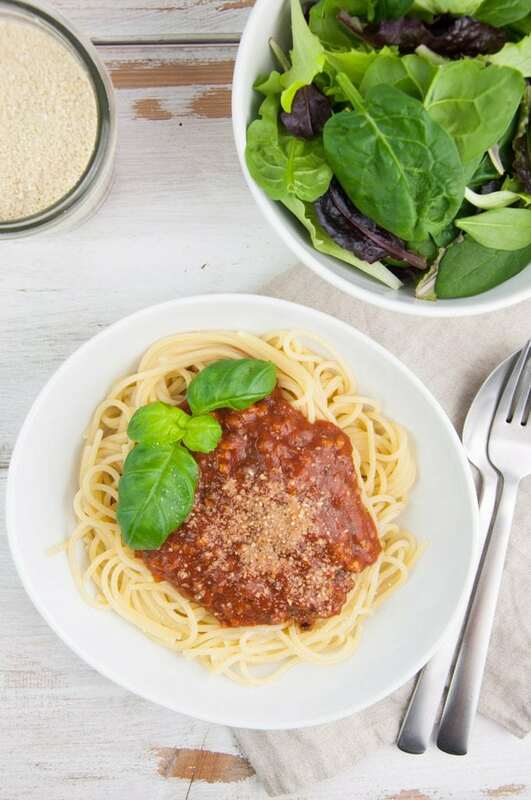 Spaghetti Bolognese – Recipe for a vegan version of Spaghetti Bolognese using Soy Granule as the base for the sauce. It’s best topped with homemade Cashew Parmesan. 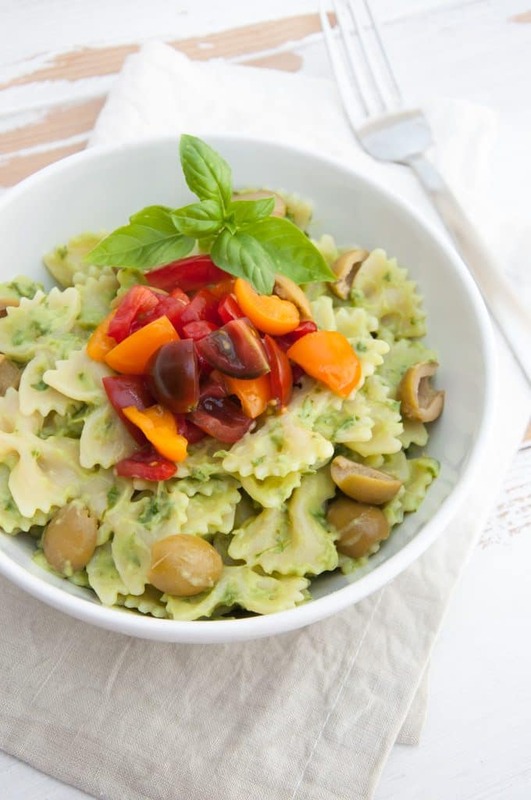 Avocado Basil Cream Pasta – This vegan and easy Avocado Basil Cream Pasta recipe is perfect for the summer. It’s quick to prepare, served cold and with fresh avocado, basil, and tomatoes. 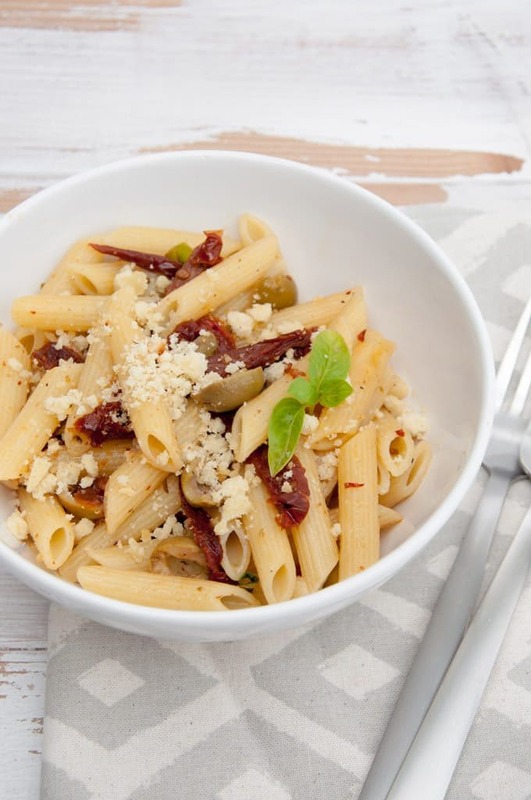 Mediterranean Pasta with Baked Almond Feta – Delicious penne pasta, green olives, sun-dried tomatoes and homemade baked Almond Feta come together in this simple, easy-to-make and perfect-for-summer Mediterranean Pasta recipe. Use fresh herbs such as oregano and basil to bring this meal to the next level. 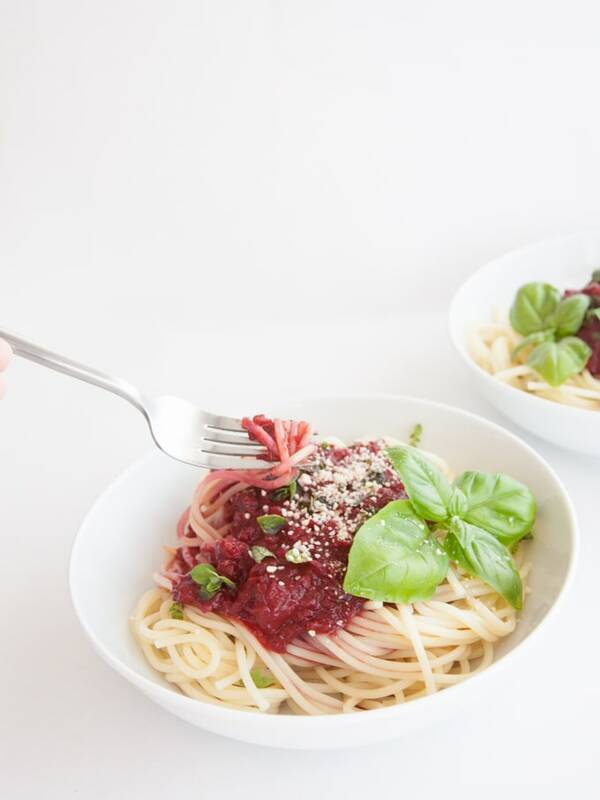 Fruity & Purple Spaghetti Bolognese – Super easy recipe for Fruity & Purple Spaghetti Bolognese. Uses purple carrots for the sauce. It’s vegan! 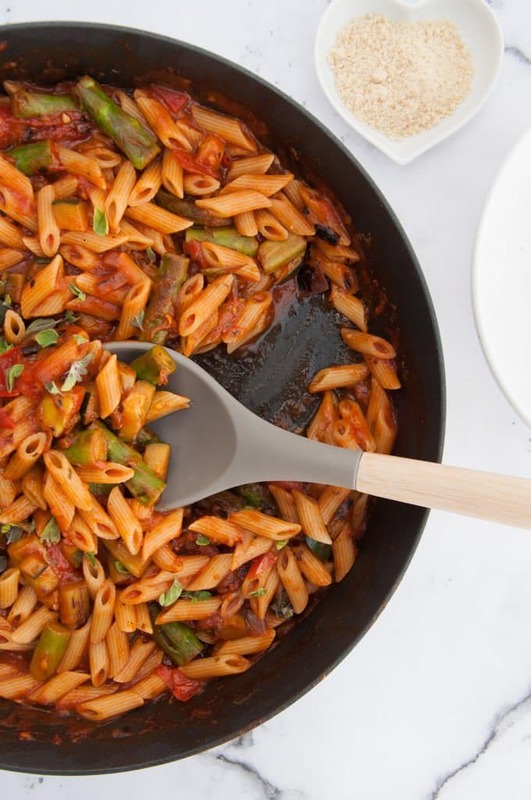 Quick Date Night Pasta with Asparagus – If you want a romantic pasta recipe, but you don’t want to spend all evening in the kitchen: You’ll love this Quick Date Night Pasta with Asparagus and Cashew Parmesan! 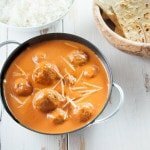 Vegan Butter Chicken with Soy Curls – Did you know you can make a delicious vegan Butter Chicken with soy curls? It’s super rich and creamy! 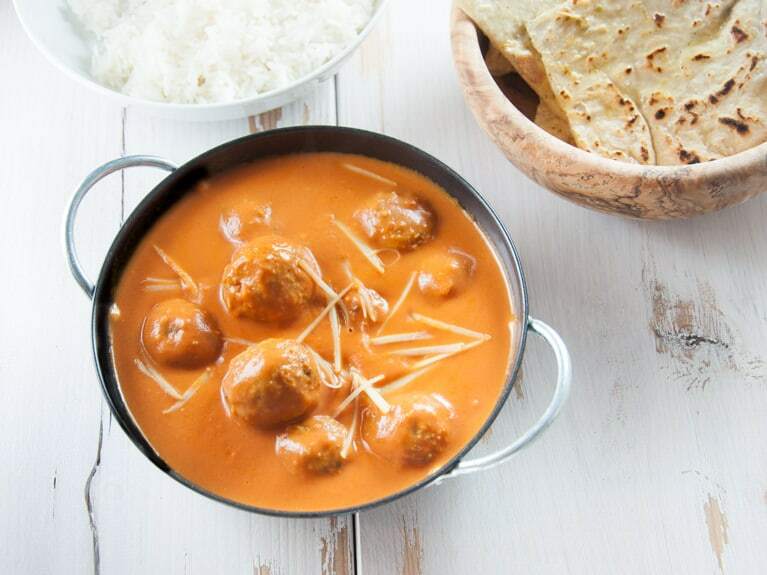 Serve it with fluffy Garlic Naan and basmati rice for the complete Indian-inspired feast! Vegan Falafel Curry – We all love falafel and we all love curries, so why not combine them?! This vegan Falafel Curry is a creamy dream come true! 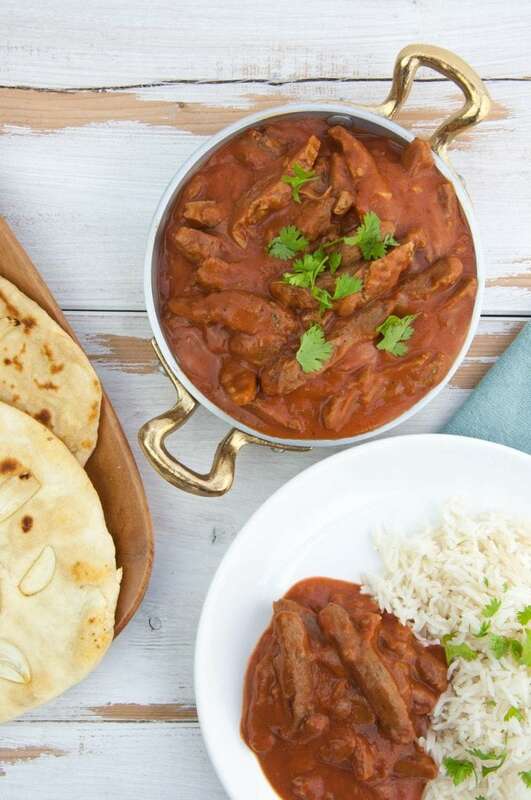 Serve it with fluffy basmati rice and homemade naan for the ultimate Indian-inspired feast! 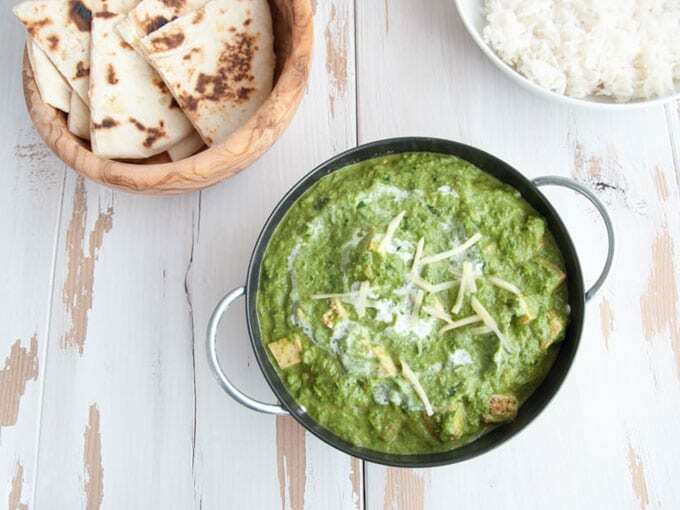 Palak Tofu – This recipe is a vegan version of the Indian spinach curry, Palak Paneer, that uses Tofu instead of Paneer: Palak Tofu. Rich, creamy and delicious. 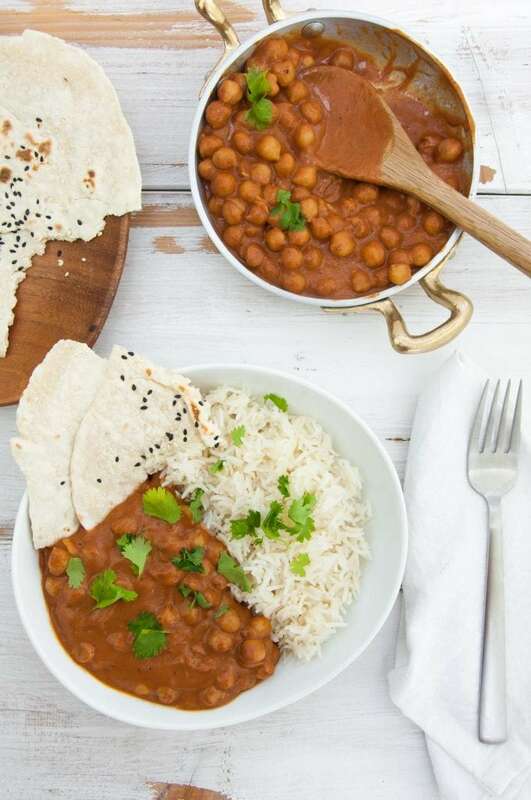 15-Minute Vegan Chickpea Curry – This is the easiest and quickest curry you’ll ever make and therefore one of my favorite easy vegan dinner recipes! You need chickpeas, tomato purée, coconut milk, and spices. That’s it! 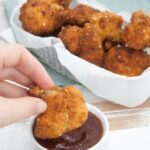 If you’re a fan of quick meals, you’re going to love this! Vegan Gnocchi made from scratch – Recipe for simple vegan Gnocchi made from scratch. You’ll only need 3 ingredients and they’re really easy to make. And they even taste better than the store-bought ones! 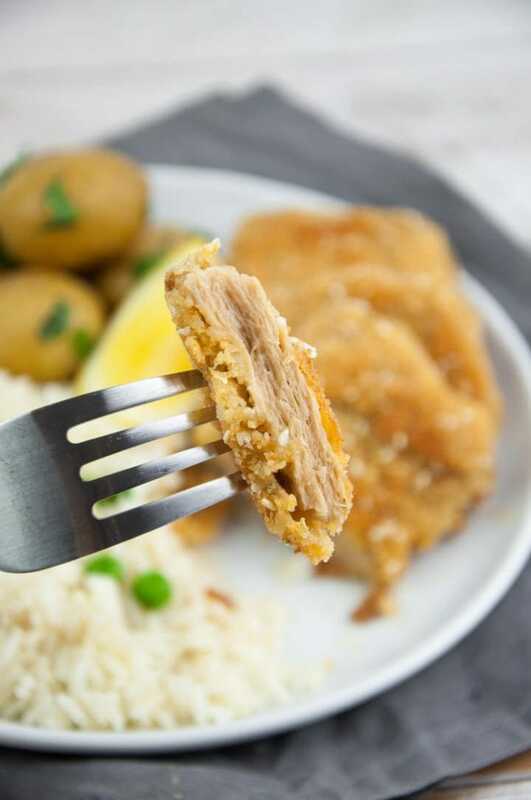 Vegan Schnitzel – Vegan Schnitzel – a veganized version of a classic Wiener Schnitzel. Check out a new and modern turn on the traditional Austrian cuisine. 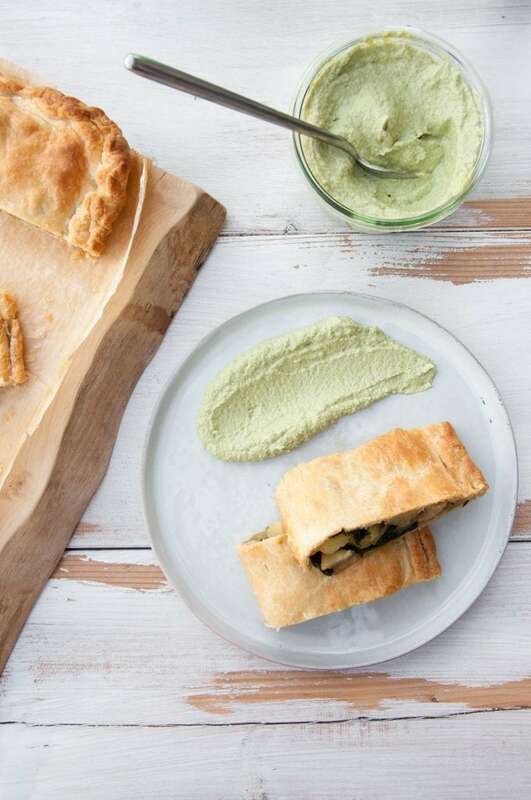 Vegan Potato and Spinach Strudel – Recipe for a vegan savory Potato & Spinach Strudel. It’s the perfect easy dinner recipe. 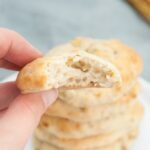 Delicious with a cilantro sunflower seed dip! 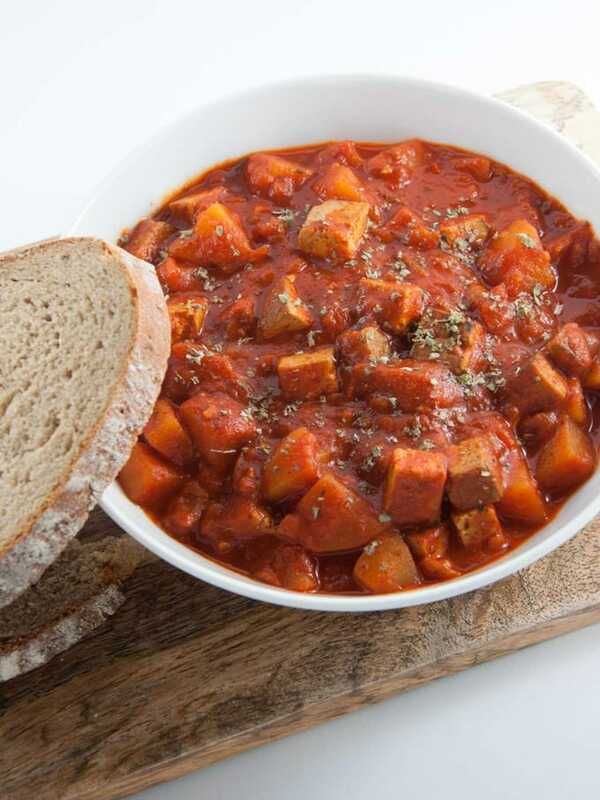 Vegan Goulash with smoked tofu and potatoes – Recipe for a vegan Goulash with smoked tofu & potatoes. Perfect fall/winter food – very comforting and delicious. It practically cooks itself! 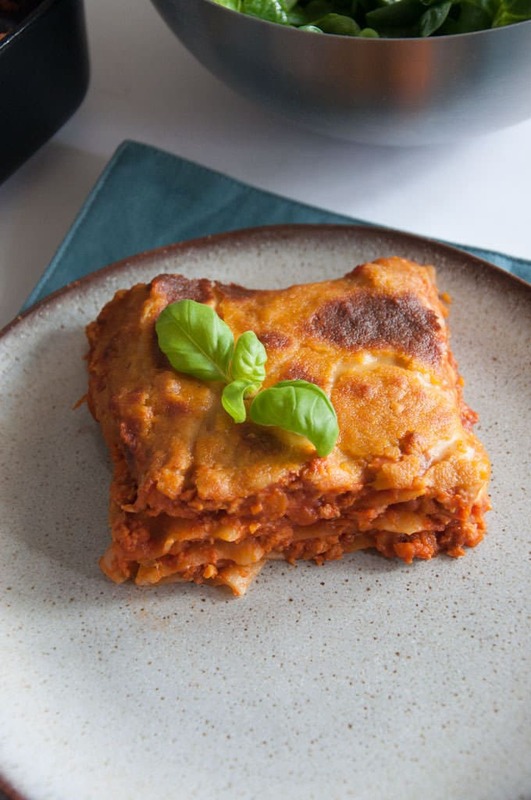 Vegan Pumpkin Lasagne with Cashew Cheese – This recipe for a gluten-free and vegan Pumpkin Lasagne with Cashew Cheese is the perfect comforting main dish for cold autumn days. Serve with a leafy green salad and make it super-food material by adding shoots. 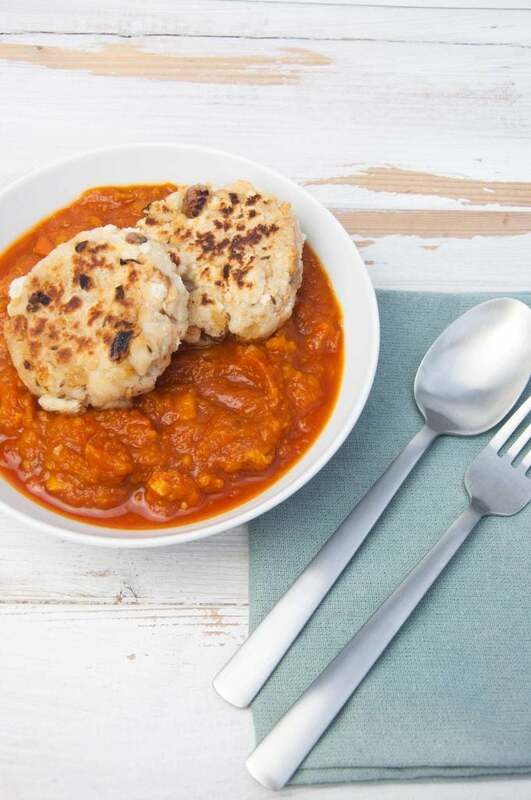 Vegan Pumpkin Goulash with pan-fried Bread Dumplings – This vegan Pumpkin Goulash is made with a Hokkaido pumpkin and served with pan-fried Bread Dumplings – traditional Austrian dumplings! Perfect for cold fall days! Easy to make and so delicious. 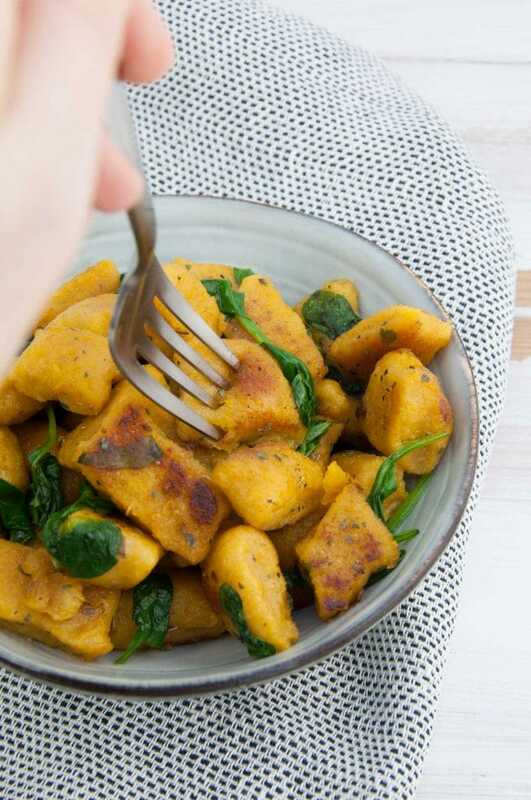 Crispy Pumpkin Gnocchi – These crispy Pumpkin Gnocchi are made from scratch and served with wilted spinach. 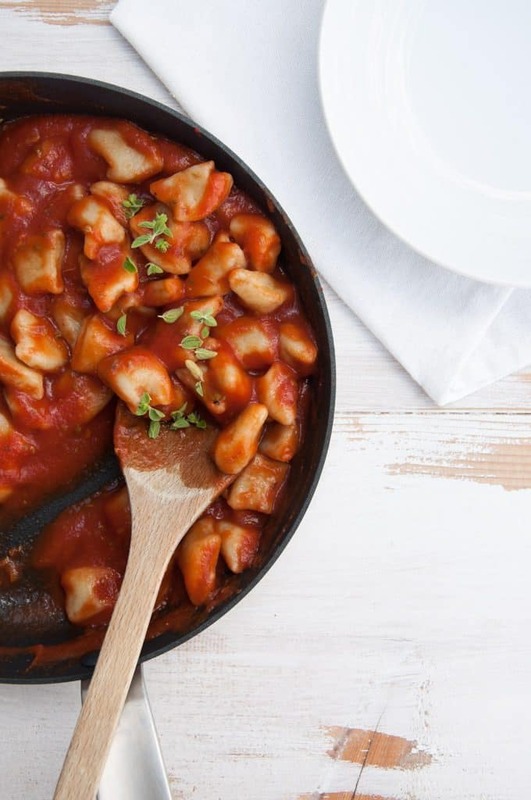 You won’t need any eggs to make perfectly fluffy gnocchi – they are vegan and just as delicious! 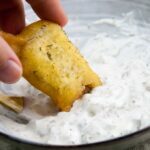 Tofish and Chips – Make your own battered fish filets without fish! 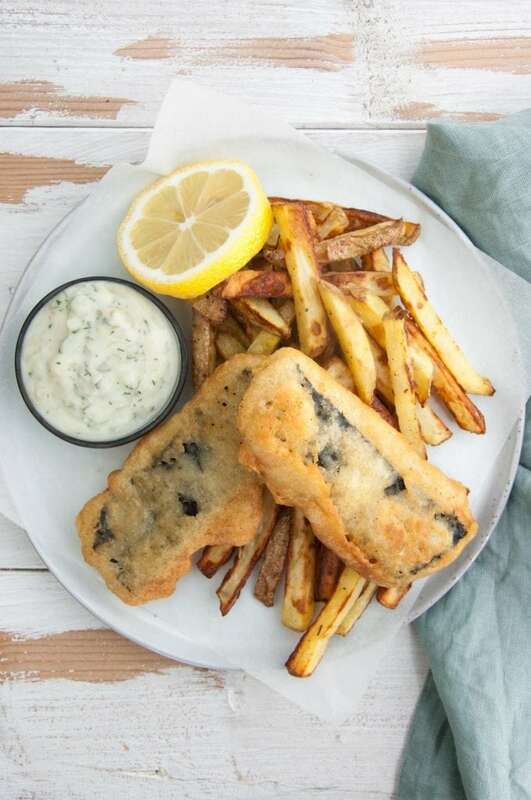 Thanks to tofu we can make a cruelty-free, plant-based alternative – perfect for vegan Tofish and Chips! Vegan Lasagna with Nooch Cheese – You don’t have to miss out on lasagna when going vegan! 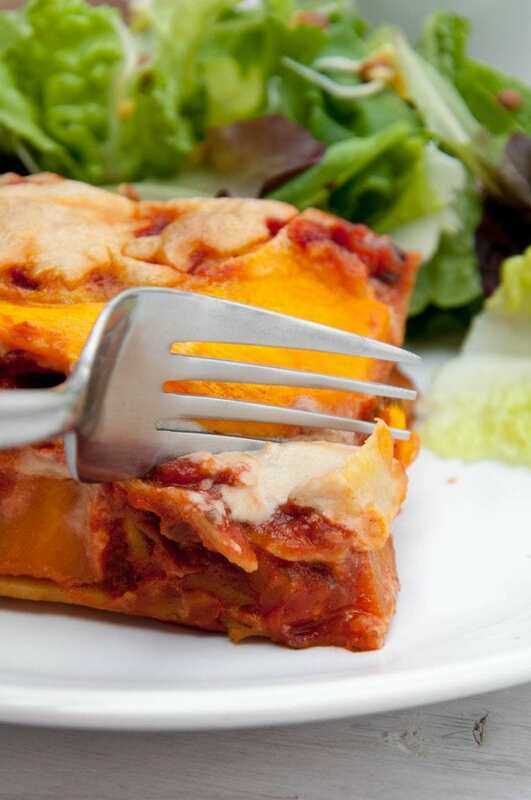 This vegan Lasagna with nooch cheese tastes like the real thing. Soy granule makes it “meaty”. 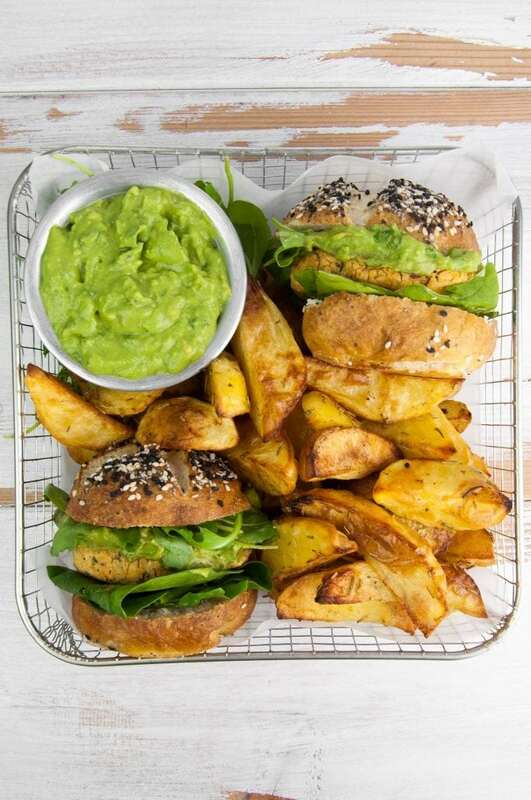 Vegan Falafel Burger – Recipe for a vegan Falafel Burger with avocado sauce, spinach & homemade burger buns (pretzel style). 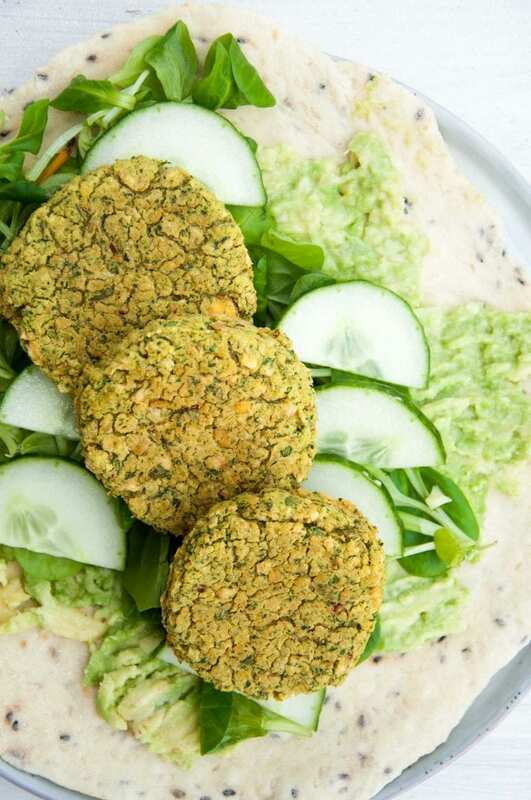 This is the ultimate flavor explosion for falafel-lovers. 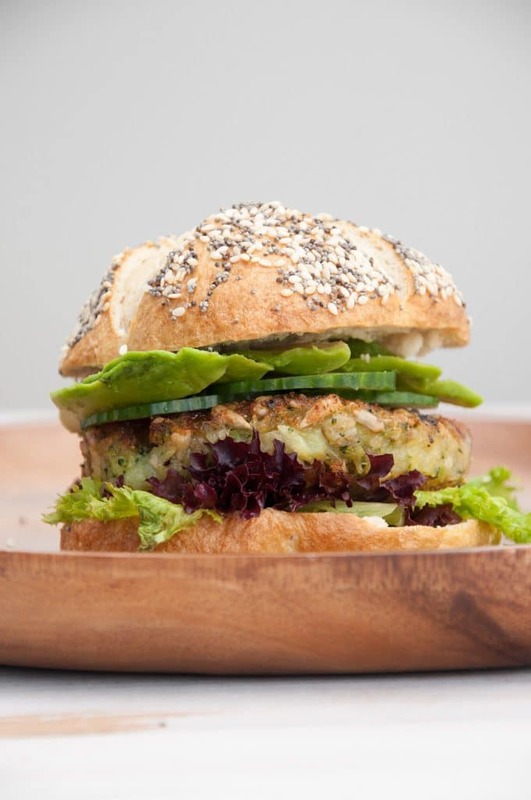 Green Veggie Burger – The best Green Veggie Burger ever! 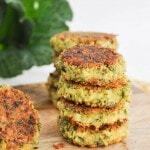 The veggie patty uses potatoes and broccoli as a base, sunflower seeds and oats are added for texture and binding. These don’t fall apart! You can pan-fry them, grill them or bake them! 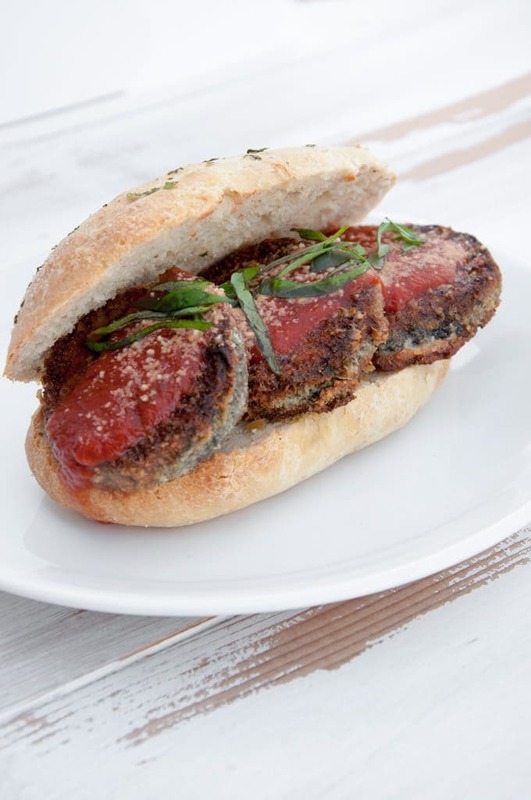 Vegan Eggplant Parmesan Sandwich – This recipe for a Vegan Eggplant Parmesan Sandwich consisting of breaded eggplant slices, marinara sauce, cashew parmesan and chopped basil in a homemade sandwich bun is the ideal summer meal! 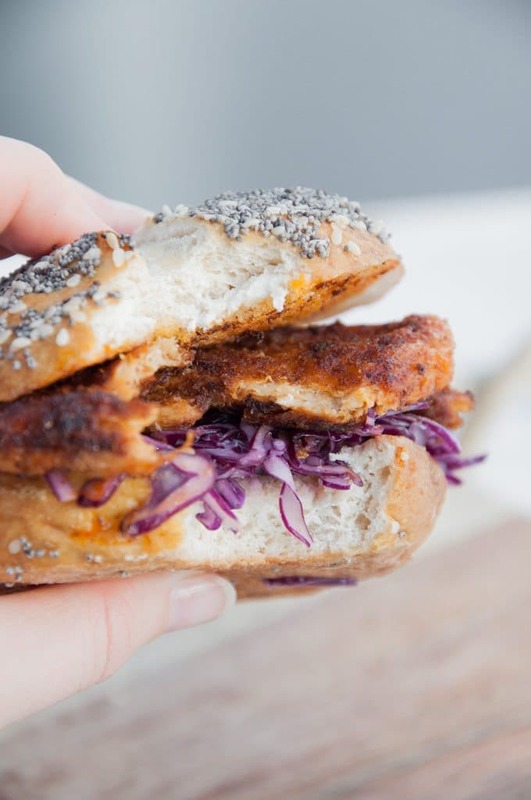 Vegan “Chicken” Garlic Slaw Burger – Crunchy garlic slaw and the soft, well-seasoned TVP slices go well together. Put that all in a homemade pretzel bun topped with seeds and I’m in burger heaven! 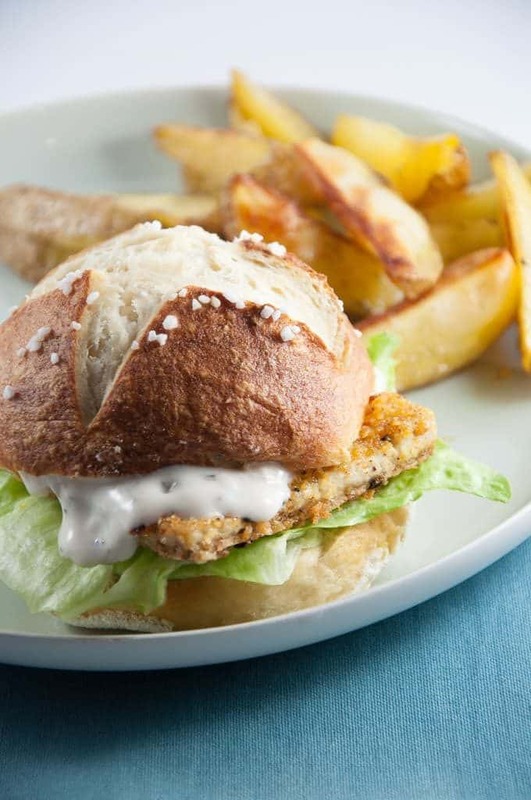 Vegan Fish Burger – Recipe for a vegan Fish Burger (made with a tofu filet) in homemade Pretzel Rolls. It’s so yummy! Completely plant-based and cruelty-free. Nothing tastes as good as a clear conscience feels. 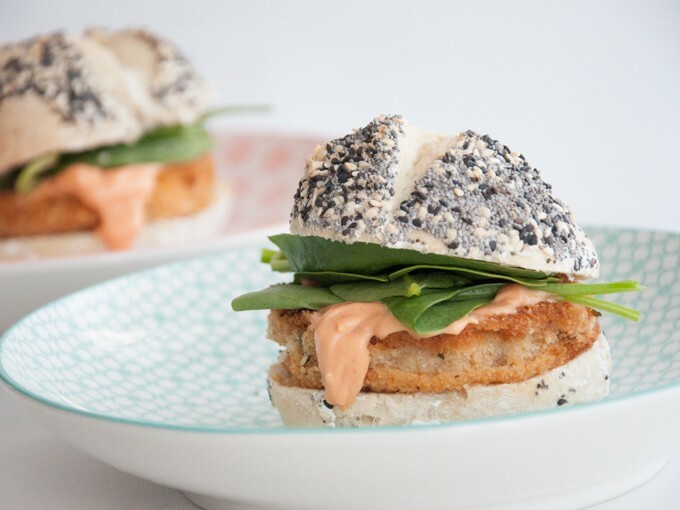 Kohlrabi Schnitzel Burger – Recipe for a vegan Kohlrabi Schnitzel Burger with homemade Burger Buns, spinach, and Thousand Island dressing. 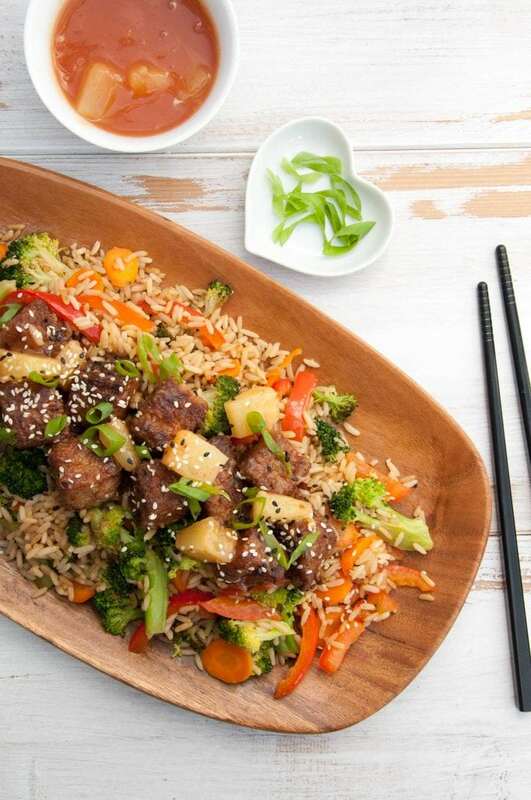 Vegan Sweet And Sour Mock Chicken on Fried Rice – This is Mock Chicken coated in a deliciously decadent Sweet and Sour Sauce served on fried rice with veggies. It’s vegan and it’s so much healthier than what you get at the restaurant! Plus, your kids are going to love it. 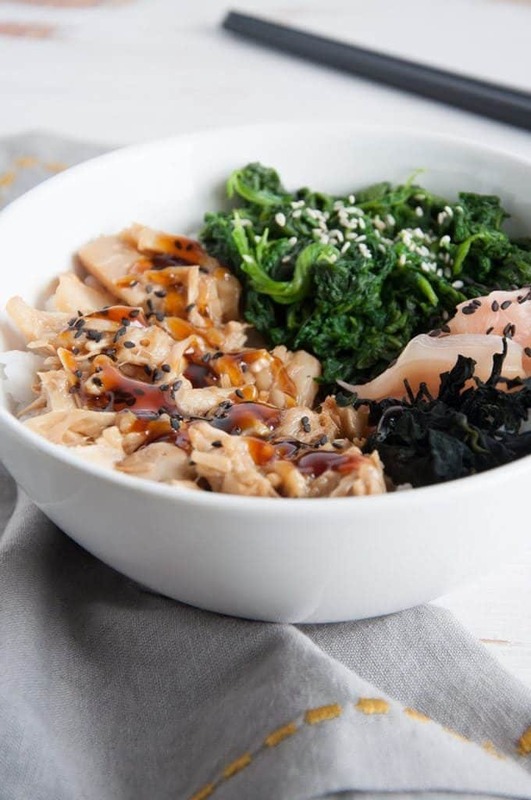 Teriyaki Jackfruit Sushi Bowl – Pulled jackfruit slathered in teriyaki sauce is the perfect key component for this plant-based rice bowl. Vegan Egg and Veggie Stir-Fry – Recipe for a simple and quick Vegan “Egg” & Veggie Stir-Fry. Got 15 minutes? 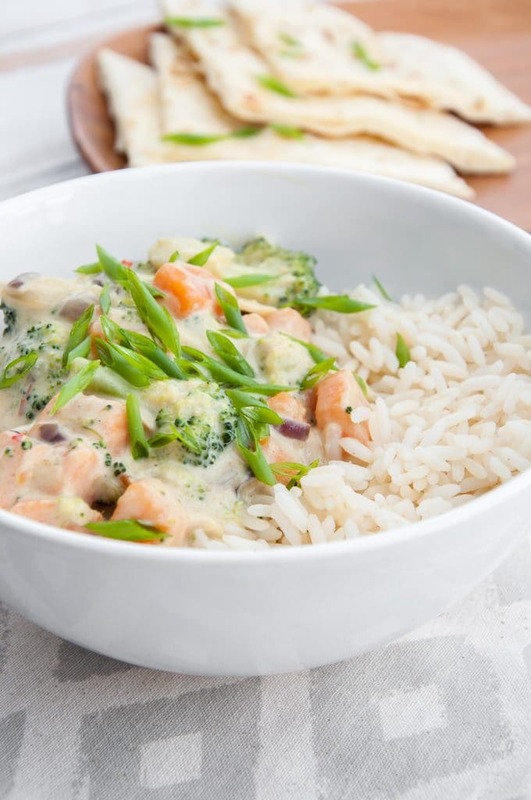 Then you can make this delicious, better than restaurant version stir-fry! 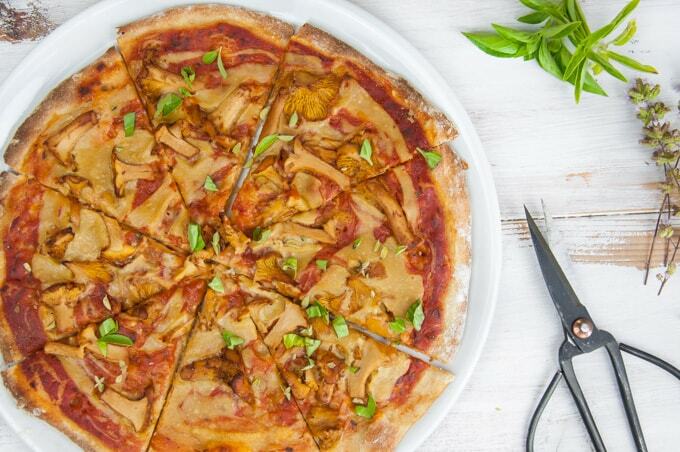 Super Creamy Chanterelle Pizza – Are you looking for a vegan pizza recipe? Try this super creamy vegan Chanterelle Pizza with homemade vegan cheese sauce and homemade crust! 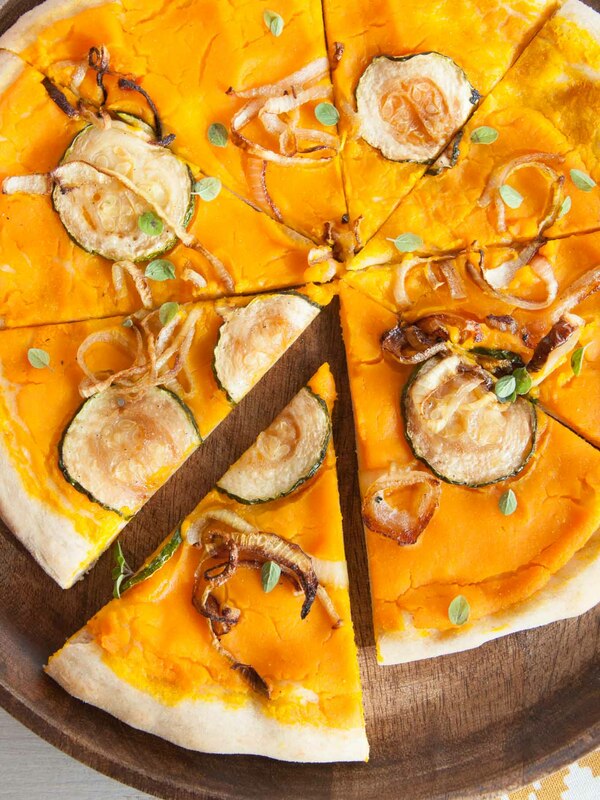 Vegan Pumpkin Pizza – Make this vegan Pumpkin Pizza with zucchini and caramelized onions today. It’s so good and totally from scratch! The perfect fall pizza. 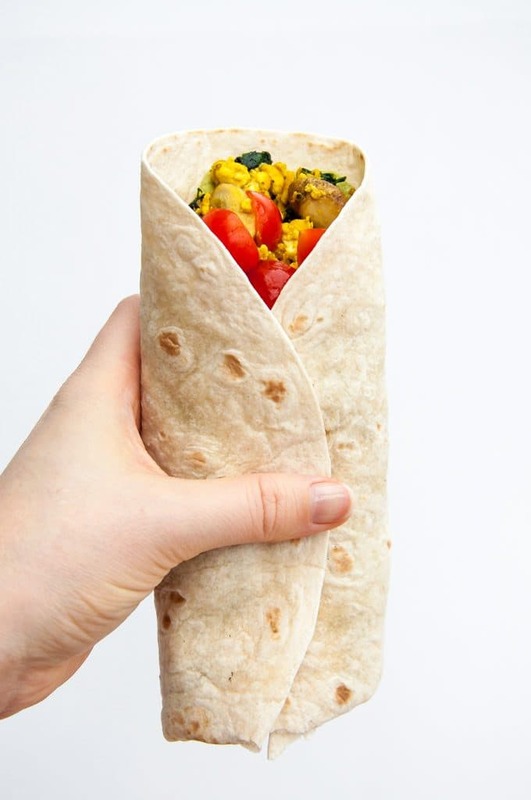 Mushroom Spinach Tofu Wrap – Recipe for a vegan Mushroom Spinach Tofu Wrap with cilantro hummus for creaminess. 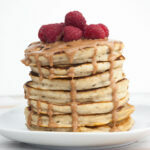 No eggs, no dairy, all vegan and absolutely delicious! 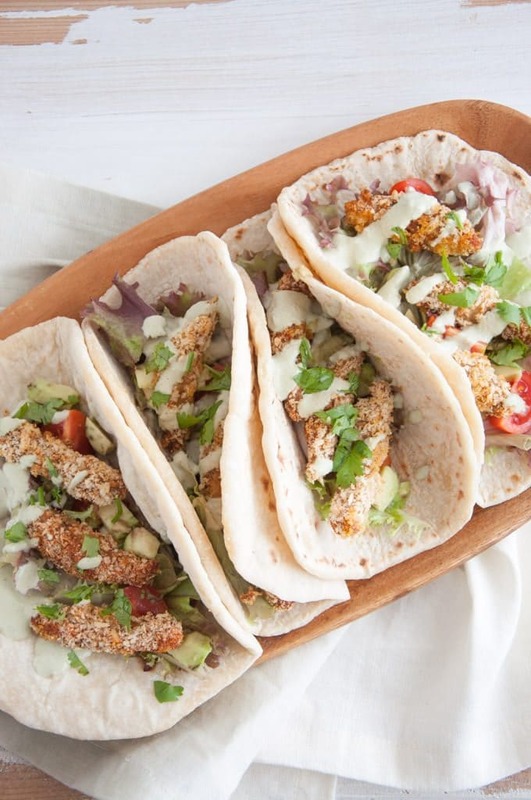 Vegan Chicken Tacos with a Cilantro Coconut Sauce – Recipe for vegan Chicken Tacos using TVP soy strips. Served in homemade tortillas with salad, avocado, tomatoes and a Cilantro Coconut Sauce. So good! 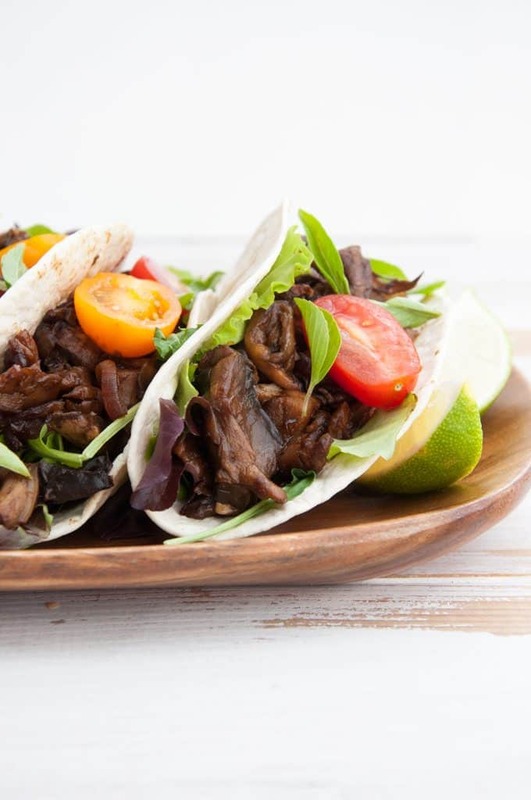 Vegan Pulled Portobello Tacos – Pulled Portobello is a great vegetarian and vegan alternative to pulled pork. These Pulled Portobello Tacos are easy to make and absolutely delicious! Tandoori Cauliflower Wrap – Crispy Tandoori Cauliflower Wings in thick & fluffy homemade tortillas with a super smooth Basil Cream Sauce. Yumm! 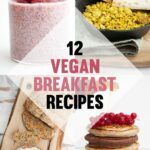 All vegan, plant-based, dairy-free! 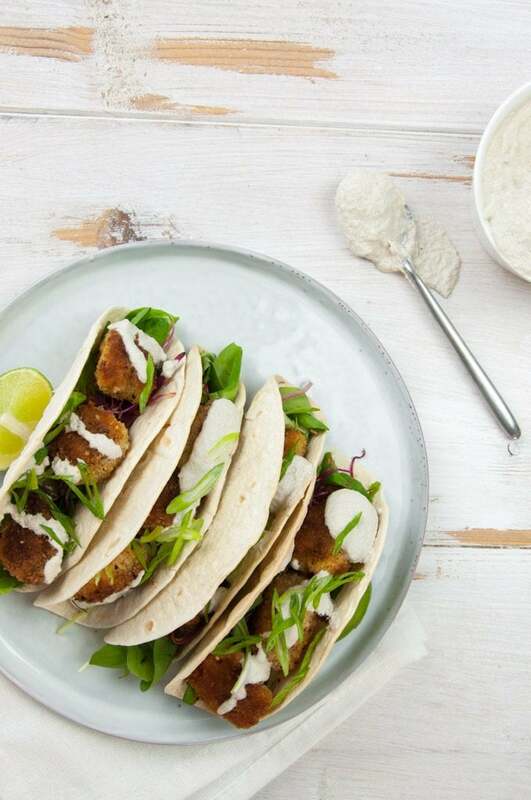 Vegan Pumpkin Nugget Tacos – These vegan Pumpkin Nugget Tacos are filled with homemade breaded pumpkin pieces, salad, sprouts and topped with Garlic Sunflower Sauce. Delicious! 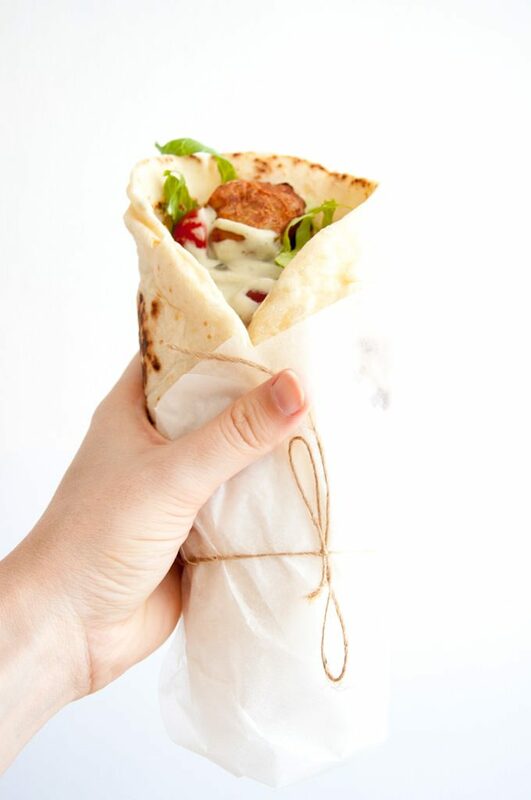 Green Goddess Wrap – Green Goddess Wrap with homemade flatbread, spinach falafel, cucumber, salad and mashed avocado. A delicious, filling and healthy meal! 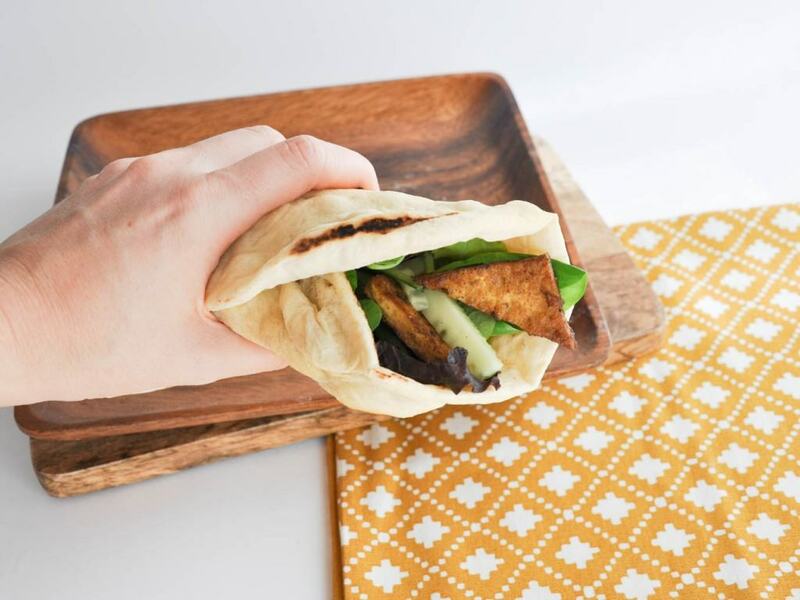 Vegan Crispy Tofu Wrap – Recipe for a vegan crispy Tofu Wrap with homemade wheat tortillas, avocado mayo, salad, and cucumbers. The wheat tortilla is super fluffy! 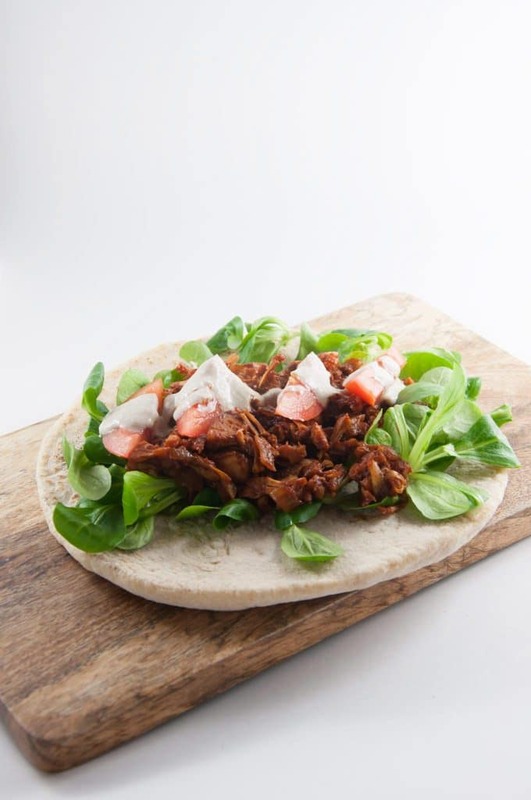 Pulled Jackfruit Wrap – Recipe for a vegan Pulled Jackfruit Wrap in homemade soft, thick wheat tortillas. 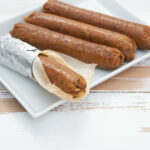 Easy to make, super flavorful and delicious. Smothered in BBQ sauce! 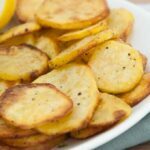 Don’t forget to bookmark or pin this page, so you’ll always have a huge selection of Easy Vegan Dinner Recipes handy! Reader Question: What is your go-to Dinner? Ready for dessert now? 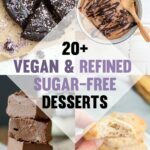 Head on over to my post 20 Vegan & Refined Sugar-Free Desserts! Hi! These are all recipes I’ve created. You can make them and refer users for the recipes to my blog, but please don’t copy the ingredients and instructions anywhere. This is a collection of truly wonderful recipes. Thank you so very much.